Designed for your husband, boyfriend, father or son, men’s jewellery is becoming increasingly popular as expressions of a persons’ individuality. Pendants, necklaces, chains, bracelets, cufflinks and key chains are available in Gold, Titanium, Stainless Steel and Sterling Silver with diamonds, and gemstones. 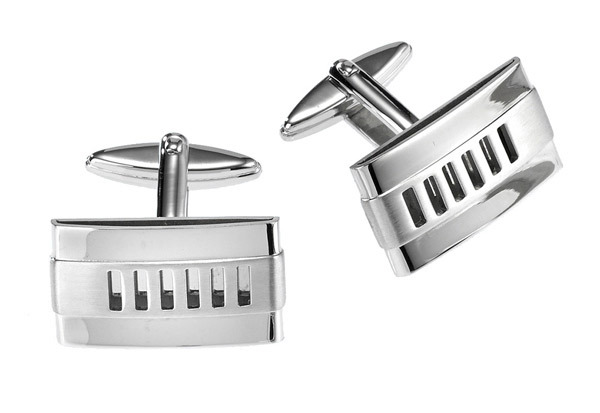 We carry a small range of cufflinks, suitable as gifts for the men in your bridal party, or the groom himself. Titanium and Stainless Steel have become a popular choice for the man wanting something different but inexpensive. Larsen Jewellery specialises in custom made men’s jewellery, including any combination of metals and gemstones. Therefore, your design is only limited by your imagination. Whether you want to choose from one of our classic styles or create something completely unique, Larsen Jewellery can make a piece to suit any style and budget, or a for a special occasion. You can use our many display items to help you choose a style, or alternatively, you can bring in your own ideas or pictures and our jewellers can help you design something special and truly unique. We welcome you to come in for an obligation-free design appointment with one of our jewellers who can advise you on choosing a piece of men’s jewellery to suit your individual style.